Flower and Stem services Coeurd’Alene, Sandpoint, Spokane, and beyond. We offer floral designs for all aspects of your wedding or event. Complementary consultations are offered as part of our services. During the consult, we will discover your flower ideas and share our thoughts and expertise. As we look at different elements of floral design, ideas will become more clarified. The flowers you decide on will be the backdrop for pictures and be one of the most beautiful elements of your wedding! 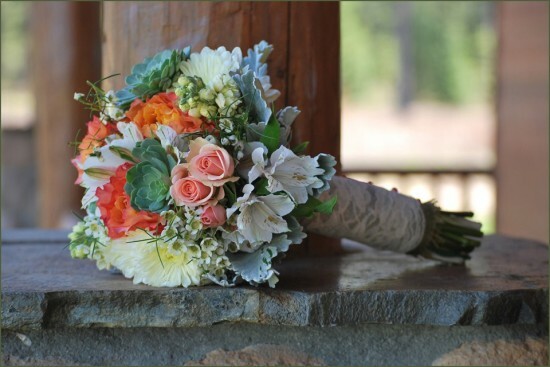 Designing the perfect bouquet that reflects your style and budget is a work in progress. To get started with flower ideas, a good place to look is Pinterest. Try to find pictures of flowers and colors you think are gorgeous, then start a wedding flower board for reference. Have fun through the creative process! Some wedding accessories are available for use at a minimal charge. When we meet for the consultation, we can go over what items might work for your wedding. I personally deliver and set-up all bouquets and ceremony-reception flowers. Under some circumstances I will do on-site flower arrangements at your venue.